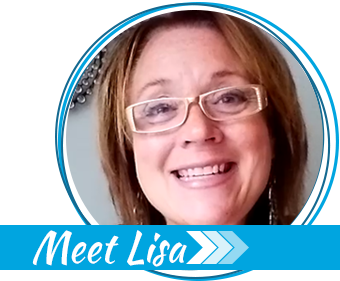 Many years ago I was in an entirely different career in which I managed and trained more than 200 sales reps for a national company. As part of my position, I attended some truly excellent executive training sessions, intended to help me become more efficient and effective. Identify your weaknesses and hire people to do those tasks for you. Concentrate doing what you do best. Well, I’ve finally figured out how to apply that principle to prepping and dealing with my own prepper limitations: Figure out my strengths as a prepper and look to others to provide the support I need to shore up weaknesses. When I fret over what I don’t have or what I can’t do, prepping begins to look like it’s too hard, takes too much time, or is impossible in my circumstances. However, anyone can prep, and I do mean anyone. No, not everyone will have the bug out bunker in Idaho, equipped with a year’s worth of food, but that isn’t the best scenario for most people, anyway. I know a very smart, fully prepped single woman in her early 60’s, who lives in a fortified condo! She’s confident she can protect what she has, and when it comes to food and supplies, she has plenty! 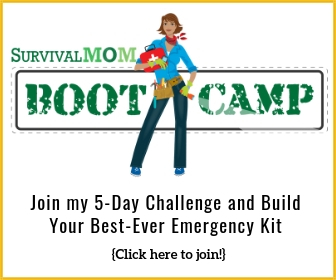 So what prepper limitations cause you to feel intimidated or even stall you on your journey to be prepared for everyday emergencies and worst case scenarios? Do any of these sound familiar? Few of us can truthfully say, “I have way too much time on my hands.” Each of us have exactly 24 hours in a day. Divvy that up between sleep, household chores, a job, caring for kids, running errands, preparing for and cleaning up after meals, take care of pets and other animals, and no, there really isn’t a whole lot of extra time each day! 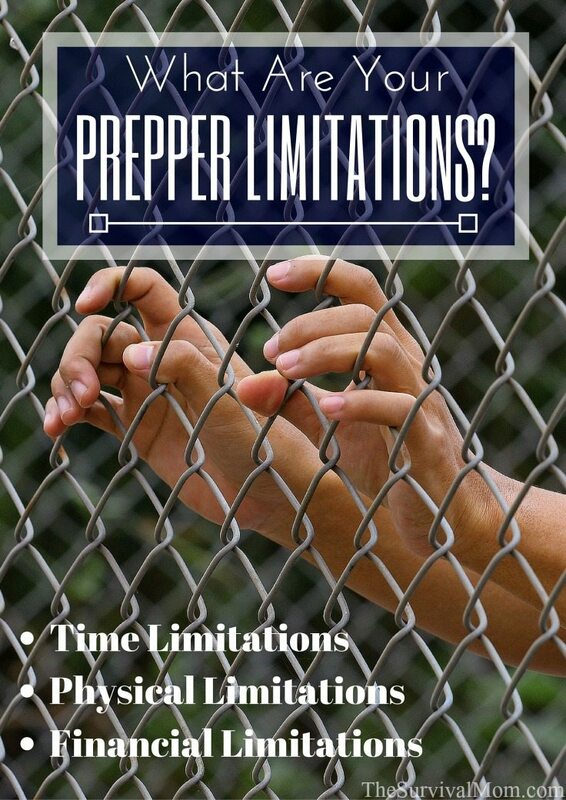 Another aspect of time limitations when it comes to prepping is feeling as if there is so much prepping to do and you may not be fully prepared when one disaster or another hits. Once you venture into the prepper world, you quickly learn that having an extensive skill set is pretty much required. It’s impossible to have too many skills but the problem for many of us is, which are the most important? After all, we don’t want to jeopardize our lives or those of our loved ones because we are missing that One Vital Skill. The truth is, no one single person knows all the skills necessary to survive any and all perilous scenarios. The most rugged mountain man living off-grid for decades might find himself at death’s door because he didn’t know how to properly can food. WHICH SKILLS TO LEARN? Click here to read my exhaustive list of important prepper skills. Along with skills, knowledge is a key to being prepared. While most knowledge leads to skills, the practical application of know-how, there’s a lot to be said for just having head knowledge. 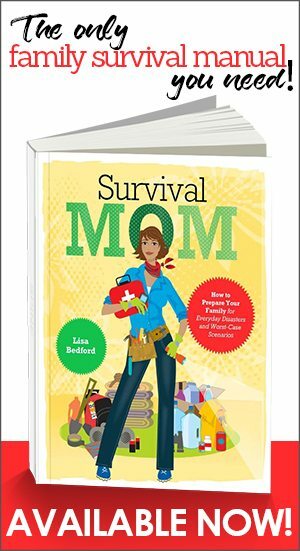 Knowing which foods are best to store, where to pitch a tent, and how to homeschool kids of different ages. Naturally, no one can ever know everything, and that can be frustrating when it comes to prepping and survival. Do you know enough to survive and, if not,what should you learn first? One limitation that affects most every family is that of physical ability. We’ve all experienced a sprained ankle, broken bone, strained back, or some other injury that affected our ability to accomplish everyday tasks. When those limitations are long-term, even permanent, it definitely affects the ability to handle emergencies. Hearing and vision impairments, chronic illnesses, and even the affects of aging limit what we can do to prep. The fact is, physical strength and energy are needed to be prepared and then to survive. Tens of millions of Americans are out of work and families are scrambling to make ends meet. Prepping doesn’t require spending money, but, let’s face it, at some point there are expenses. No, you don’t need an expensive water filter or premium freeze-dried food, but even less expensive options require money. Finally, there may be something you know you need to do, but you just don’t want to do it! Maybe you loathe canning (I’m not a big fan, myself), maybe you’ve always hated fishing, or maybe, you just feel lazy! That Grab-n-Go Binder? You’re in no mood to track down dozens of different documents that are scattered all over the house and in the attic. There are probably important prepping steps you know you should take but you’ve procrastinated. You just don’t want to do it! Fair enough, but it’s a limitation all the same. It’s highly possible that all of the must-haves and must-do’s on your list may not be all that important. For example, buying that expensive Berkey, which is recommended by every prepper expert, after all, may not be the most important next step for you if you just don’t have the money. Learning how to can is a great skill to have, but if you don’t have the time, buy store-bought canned food, for now. If you’re feeling pressured because you don’t have the time, the money, the space, the skills…take a step back and catch your breath. Maybe whatever it is that you’re feeling pressured to do isn’t necessary after all. If your To Do list seems a mile long, pick just 1 or 2 tasks to take care of and forget the others, for now. Although I’ve been blogging for 7 years, there are many, many important technical skills that I don’t have. I couldn’t code if my life depended on it. So, I hire people to do those things for me. My daughter creates all my graphics and earns $8 a piece. If you identify the limitations that are most bothersome, ask yourself, is this something I could delegate to someone who does have the time, the money, the skills, the space, etc? You don’t necessarily have to pay cash, either. Could you swap childcare or offer the talents and skills you have in exchange? If you have good friends and family members, there’s no need to go down the prepper road alone. Enlist their help, even if you don’t care to share why a certain task is important. In his book Will to Live, Les Stroud shared the story of a family stranded out in the ocean. For unknown reasons, the father refused to teach his son or wife how to catch or clean a fish or do any number of other tasks that would help the family survive. Like that dad, you may be highly competent, but at some point, you’ll need assistance and teaching others the skills and knowledge you have will help overcome the limitations of time and physical ability, in particular. Is it possible that you’ve set a bar too high in your diligence to become prepared? Are your expectations unrealistic? Ask yourself, “What is the bare minimum we need to survive a natural disaster or some other likely event?” Make sure that “bare minimum” is in place first before fretting about having a rural bug out location or some souped-up vehicle to get you and your loved ones out of Dodge. You may not have the money for a year’s worth of freeze-dried food, but could you afford 2 or 3 #10 cans per month? Maybe you don’t have time to take a master gardening class, but how about signing up for a Udemy class to learn some new gardening skills? You might not be physically fit enough right now to walk a long distance, but could you start an at-home walking program for beginners? Any task becomes easier when it’s broken into small chunks. This is helpful for procrastinators, like me! If you really don’t like canning, then learn how to dehydrate food. Don’t want to take an in-depth first aid class? Then assign that to a family member or two while you take a class in a different area. Final step: What do you do best? 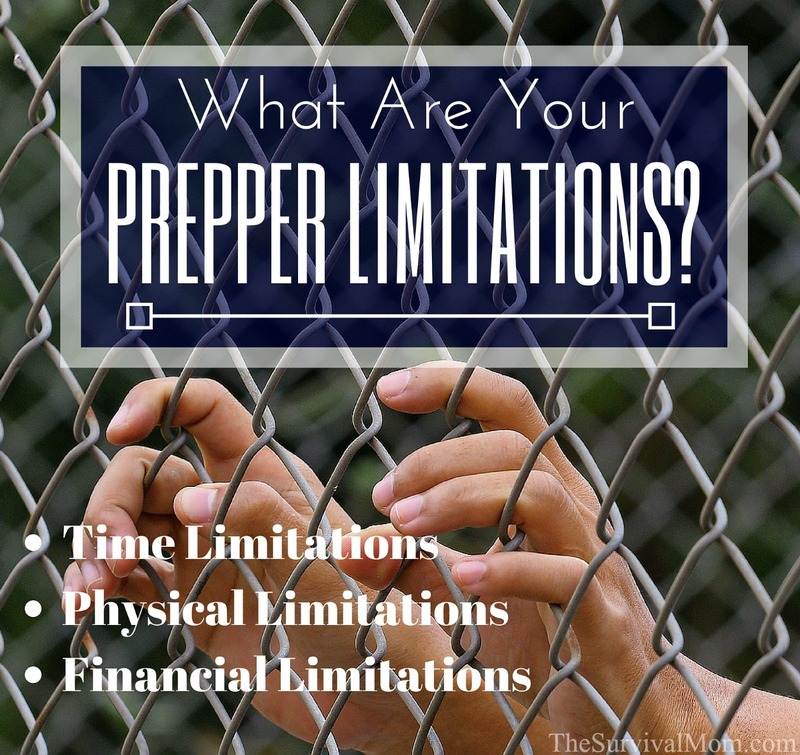 By now you know what your prepper limitations are, but what are your strengths? Go ahead and delegate, hire, re-prioritize — do whatever needs to be done, but remember to keep doing what you do best! Your strengths might even open the door for a way to earn extra money, either by teaching others that skill or by producing a product or service that others need and will purchase. There’s no need for prepper limitations to jeopardize your safety and well-being when an everyday emergency or worst case scenario hits the fan. Would love to learn more about the woman in her 60’s living in a condo who feels totally prepared and that she can defend what she has in the condo. Hopefully, you can write more about her. Good suggestion! I’ll see if she’s willing to give me details, anonymously, of course! I agree with Arlyn; I’m 70 & would love to hear how other older folks deal with prepping. Love your information. No matter what I am looking for you have a reasonable answer. My better half and I, being 63 and 62, I am finding that I don’t move as well as I did even 5 years ago (osteoarthritis) and he has even more problems coming with rheumatoid arthritis coming on strong. But knowing that we could help ourselves makes all the difference. Thanks for this info and please let us know how your friend is keeping herself and her home. After all, it isn’t prepping, per se, it is more of a lifestyle. Simple and accurate article! We are the tackling it little-by-little. 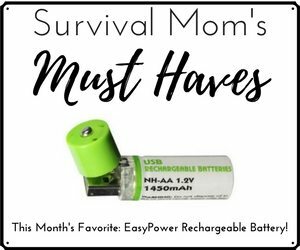 Every day I search various sites for sales on items to add to the pantry (short and long term) and other necessities for survival. Raised bed gardening and some smaller pots for other edibles. It definitely CAN be done and it is reassuring to look at the progress and know you’re taking responsibility for your family. I would love to hear about the 70 YO woman, too. I’m 60 and have some skills as far as food prep and light work loads. I love watching shows like Live Below Zero and Alaska the last frontier. She allowed me to copy all her notes and I ended up with 100+ pages of them!! Just haven’t had a chance to go through them and get them ready for an article. The two biggest for us are Time and Financial. Time to spend testing products, and teaching our kids to use them, and we always want to buy more, but have to wait for it to work with the budget. What recommendations do you have?